Experience faster checkout as a PayPal member – only enter your information once! If you experience any problems with our giving system please let us now by visiting our contact page. 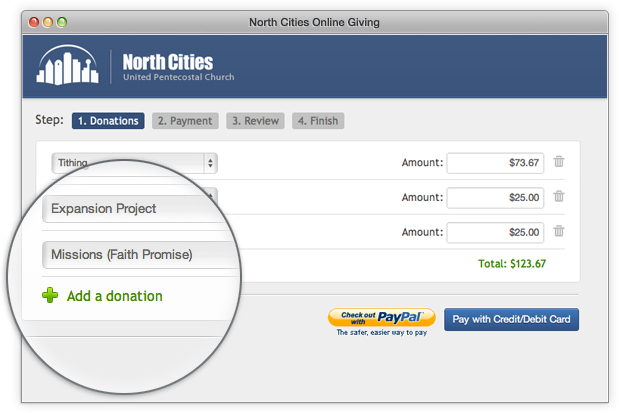 Bookmark it: You can now give conveniently online at any time by visiting www.northcities.org/give.